When someone visits your site, it's important for you to know what they are interested in. 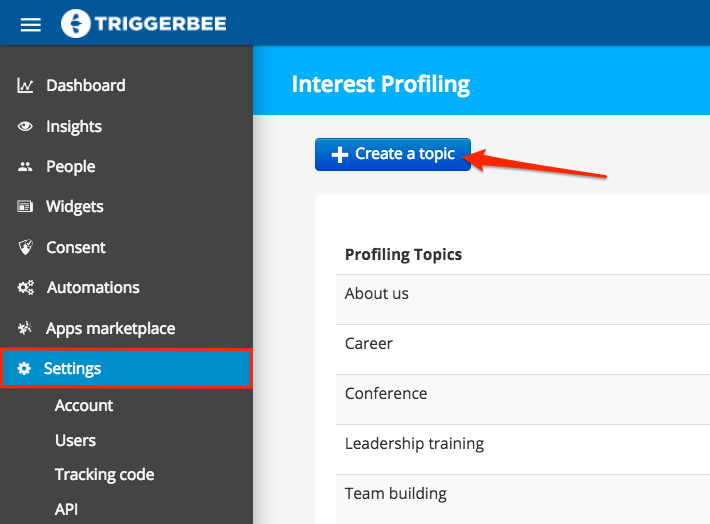 This is accomplished in Triggerbee through our Interest profiling feature. The interest algorithm is built around how active your visitors are (e.g. where they clicked or scrolled) and how long they stay on each page. You can see what each visitor is interested in by navigating to your Insights, and then clicking on a visitor to expand it (you can see a picture of this at the bottom of this page). 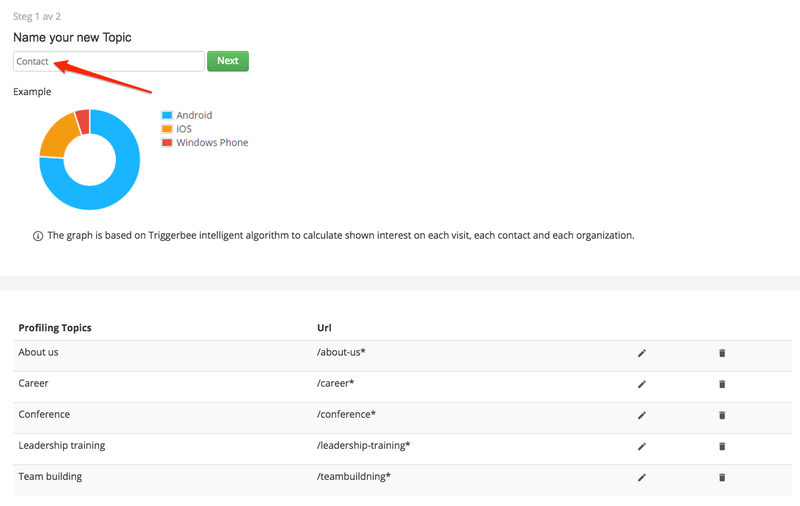 Simply enter the name of the interest you want to track (e.g. contact, product, etc. ), then type in the specific URL and click save. Note that wildcards can be used. For example, entering the URL: /product* will include anything in the URL after product. You can also just input *product* which will pick up any URL containing the word "product".